Baltur UK delivers first-class customer service, supporting heating engineers in the successful delivery of solutions for commercial and industrial boiler and burner applications. The technical knowledge and experience of the team is second-to-none and is complemented by a friendly, flexible and responsive service for all customers. 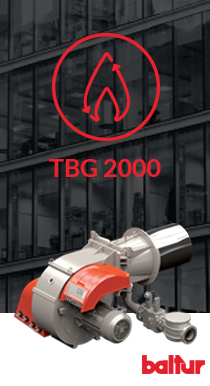 In addition to supplying Baltur’s comprehensive range of commercial and industrial burners and boilers, Baltur UK also uses its expertise to offer specialist training for heating engineers, including the integration of controls which are unique to Baltur. Each year, heating engineers have the opportunity to visit Baltur in Italy and undertake a week-long training course. In 1960 Augusto Fava, with his brothers Arturo and Lino, believed in Baltur and trusted its founders Ballanti and Tura. During the years they have become fully aware of the potential of this sector and Baltur has become a leading company. The Fava brothers have acquired the whole share holding of Baltur thus becoming the sole owners. Intuition, passion and entrepreneurial view have led other two generations to the management of the company: Enrico and Gianni, the sons of Augusto and now Riccardo, Managing Director and General Manager. Three generations have been able over the years to make the company grow, competing at the highest levels. Baltur's greatest assets are people, experiences and tradition open to innovation. It has been that way for over sixty years and it will continue to be. Designing, making and selling “intelligent” solutions for heating, climate control and industrial and process applications, managing energy rationally and effectively with respect for man and nature: this is how Baltur helps protect the environment. This means standing out for excellent products and services and a great focus on the customer. The Baltur range is made of products that meet all needs, whether industrial or residential, and is supported by the most qualified know-how and experience that the company has developed over the years. The thermal comfort sector should recognise and understand in the best possible way consumers' needs; for this reason we focus on the constant research and innovation of our products. Starting from 2015 our residential line will be fully complying with Erp, thus following the new standards and reacting in an excellent way to this change in the sector. With regard to the environment, Baltur strongly agrees with the diffusion of renewable energies: our solar heating system applications show our commitment to environmental sustainability that will be the future of air conditioning. Baltur is all over the world. It is a flexible and competitive company able to take care of international relationships in an informal way. A personal and careful relationship with every costumer, always taking into consideration the requests and peculiarities of each Country. For Baltur relationships, as well as the product, come first. In 1994 Baltur became one of the first Italian companies in its field to obtain certification of its company quality system under UNI EN ISO 9001 standards. Adoption of total quality programs gave form to the company's philosophy of attaining value for its customers through process and product quality management systems. All processes are codified by procedures guaranteeing quality: design, purchasing, production, inspection and testing, sales and post-sales assistance. In 2003 Baltur adopted the ISO 9001:2000 management system (known to the public under the name Vision 2000), which further focuses attention on all company processes. In 2009 Baltur's quality management obtained certification of ISO 9001:2008 conformity, implementing the activities it has always carried out along with marketing of systems for production of solar thermal energy. In the late ’90s Baltur obtained Production Quality Assurance in relation to the Conformity of the Tested Sample from the German certifying body DVGW, in accordance with Gas Directive 90/396/EEC and Boiler Performance Directive 92/42/EC, a procedure offering customers a guarantee of security as they are buying a product tested by TÜV of Cologne and approved on the basis of strict standards imposed by the European Commission. All this meant obtaining a series of EC Certificates for all product families. As for approval outside Europe, for years Baltur has been certifying its burners with ZIK in Croatia, GOST in Russia and TSE in Turkey, as well as Ukrainian certification for all burners and condensation boilers.